People generally don’t think that wine and BBQ pair well together, but they actually have a lot in common, especially if you are using wood for your fire. Let’s start with what you know and love: wine. Wine is aged in oak barrels. These barrels impart the subtle flavors of the wood into the wine. Aging wine in oak gives it a higher quality feel, along with additional taste characteristics. Through this process, the wood releases chemical compounds (phenols), which give the wine aromas of vanilla, caramel and other sweet scents, as well as the occasional smoky flavor. The end product of an oak aged wine is one with soft round flavors and a beautiful color to match. As you probably know, oak has a similar effect with BBQ. Have you ever been sitting around a campfire for a while and leave to find yourself smelling like smoke? This is because the gases released by the wood as it was burning have infused into your clothes. Seems pretty obvious, right? The same thing happens when you use wood for your grill— the smoke particles attach to the meat giving it a smoky flavor. Different woods give different flavors and pair well with various foods (just like wine). Oak is best used when cooking beef or pork, as it is heavy wood that provides a medium to heavy smoky flavor without overpowering the characteristics of the meat. 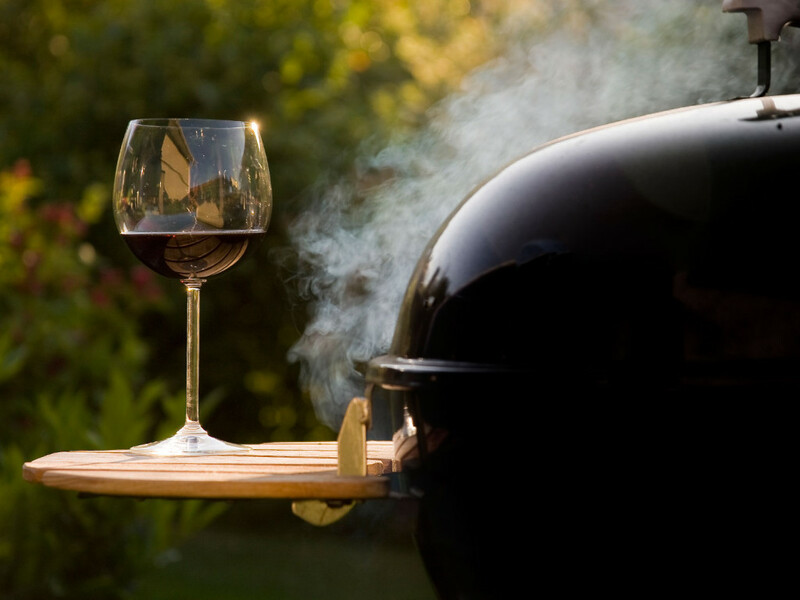 Did you know you can combine wine, oak and smoke to create the perfect harmony of smoky meat with a hint of wine? By repurposing used wine barrels into wood chips or even logs, you can cook with wine and wood at the same time. Next time you are barbecuing, try adding some oak chips soaked in your favorite wine and see if you can taste the flavors.